Attaching process specifications, and safety instructions to Bills Of Material, Jobs, or Process Specs a great feature, if they are not read by the workers when they are performing the jobs, then they don’t do anyone any good. 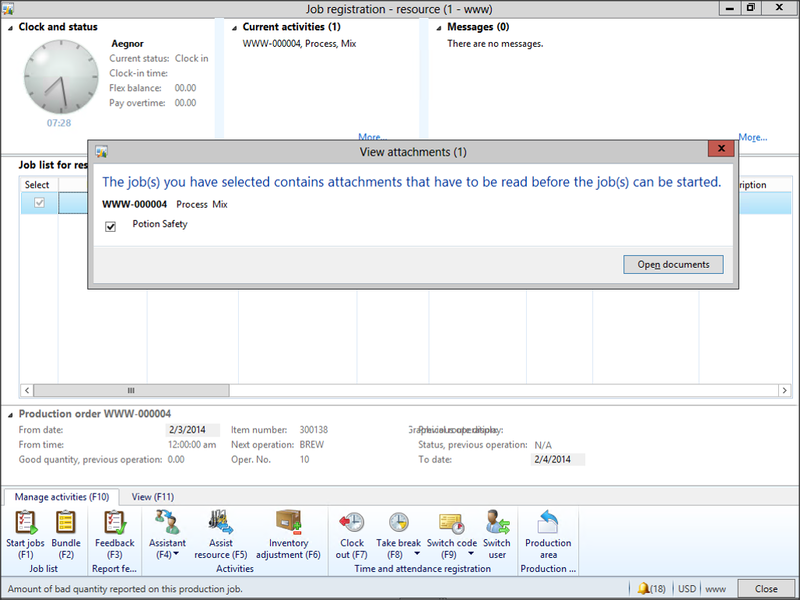 Luckily, Dynamics AX has a feature within the Production module that allows you to specify that certain documents must be reviewed before starting jobs. Now no-one can plead ignorance about new processes or procedures. 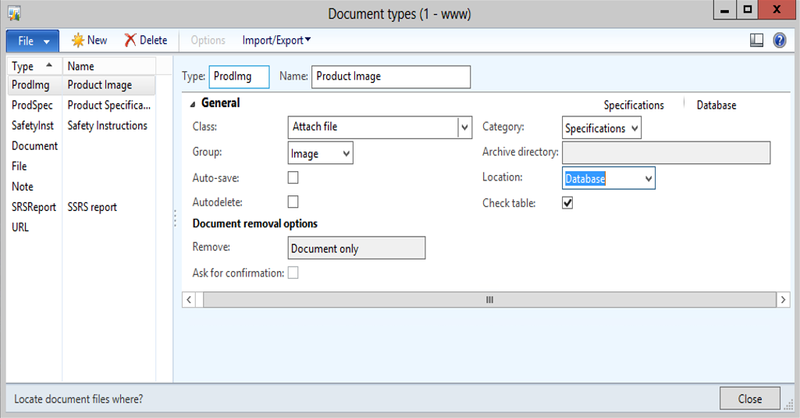 Make sure that you have some document types configured for the types of documents that you are going to attach to your BOMs. 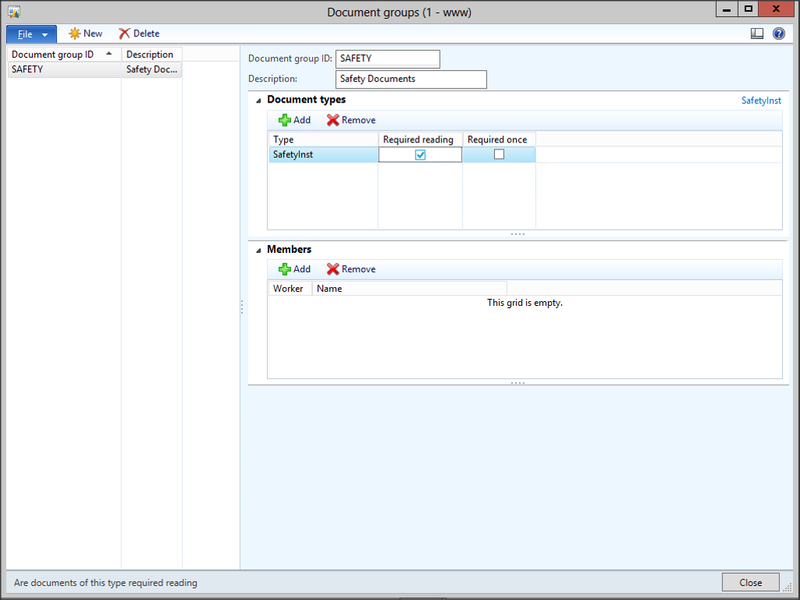 Click on the Document Groups menu item within the Setup group of the Production Control area page. 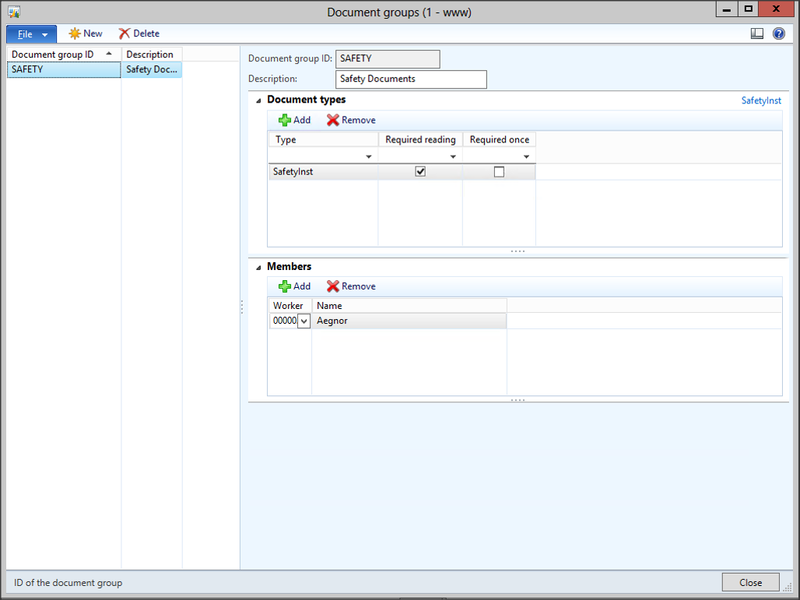 When the Document Groups maintenance form is displayed, click on the New button within the menu bar to create a new record, and then assign your new Document Group an ID and a Description. 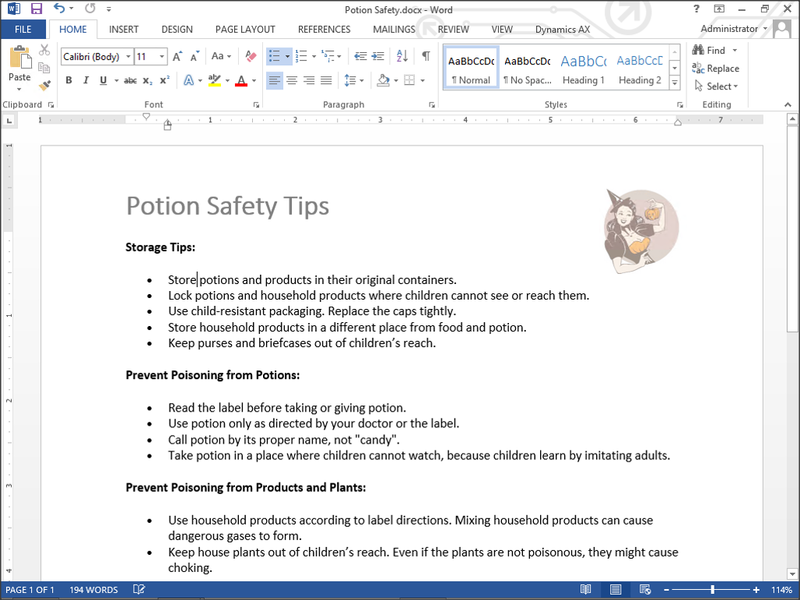 To add a new type of document that needs to be reviewed, click on the Add menu button within the Document Types menu bar, and select the Document Type from the list of types that you have configured. If you want the document to be reviewed by the user before starting the manufacturing job, then check the Required Reading check box. If you only need them to review it when they start the job, and not every time that they check in to the job, then click on the Required Once check box. 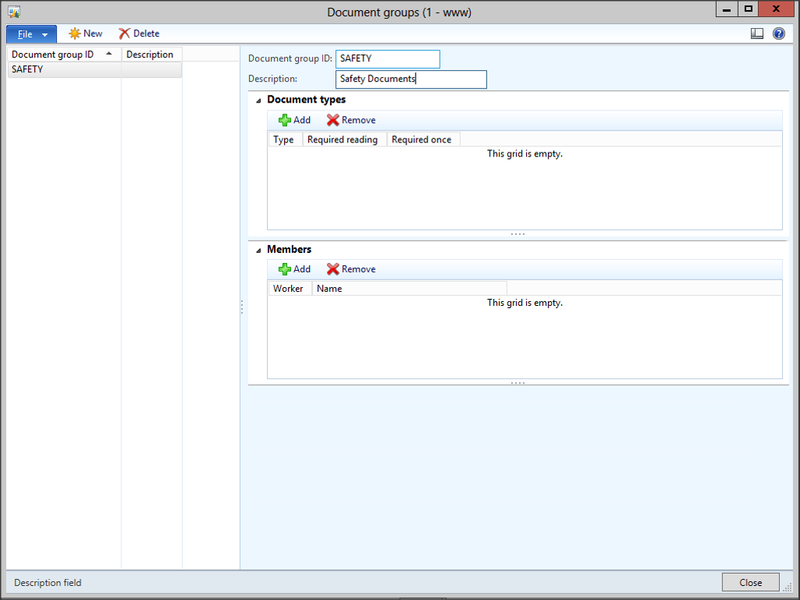 If you want certain users to review the document then click the Add button within the Members group, and add any of the workers that you like. The next step is to associate your document with the BOM. 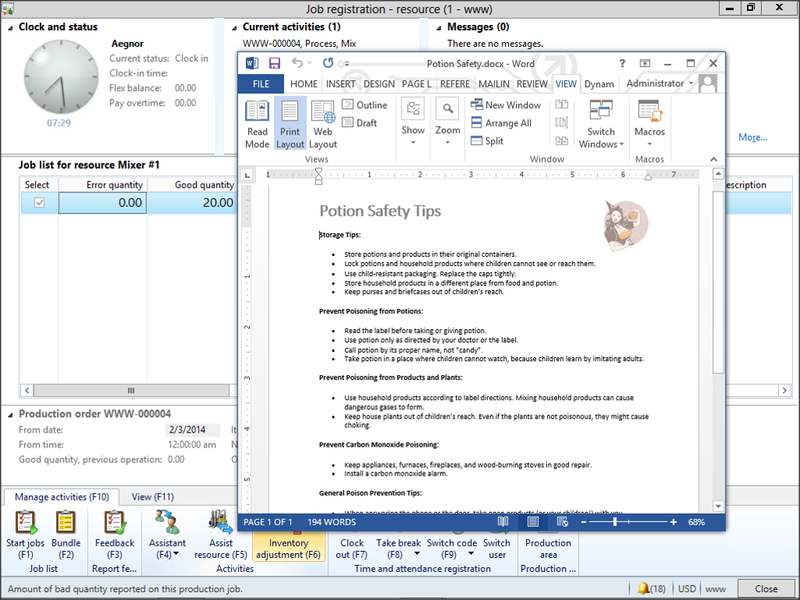 Open up the BOM that you want to attach the document for review, click on the Attachment icon (which may be in the bottom left of the status bar) and then link your document to it. 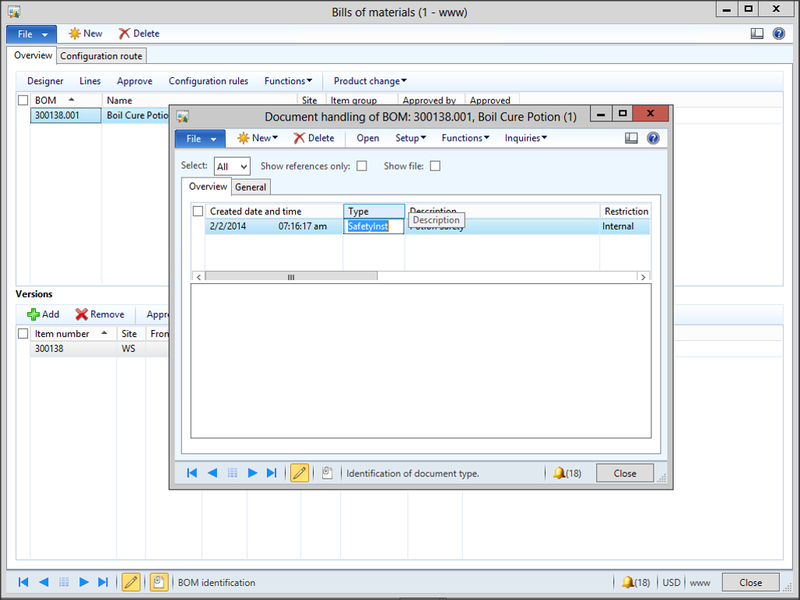 Now when you start any job, then you will be notified that you need to review the document that you attached to the BOM. 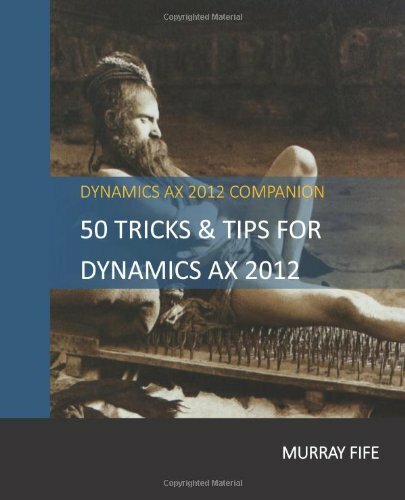 By clicking on the Open Documents button, Dynamics AX will open up all of the documents that you have required the users to review. Does this only work with ME or with will this work with a standard production start?